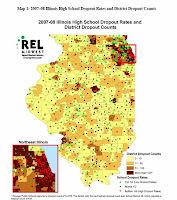 A few years ago Compass Point created a set of maps showing high school drop out concentrations in Illinois. You can see the PDF here. In this article from The Atlantic, you can see a map showing where the drop out crisis is most severe in the USA. Maps help us understand that social problems are concentrated in many different places, thus, our strategies need to innovate ways to distribute resources consistently to all of the high priority places, not just a few high profile locations. 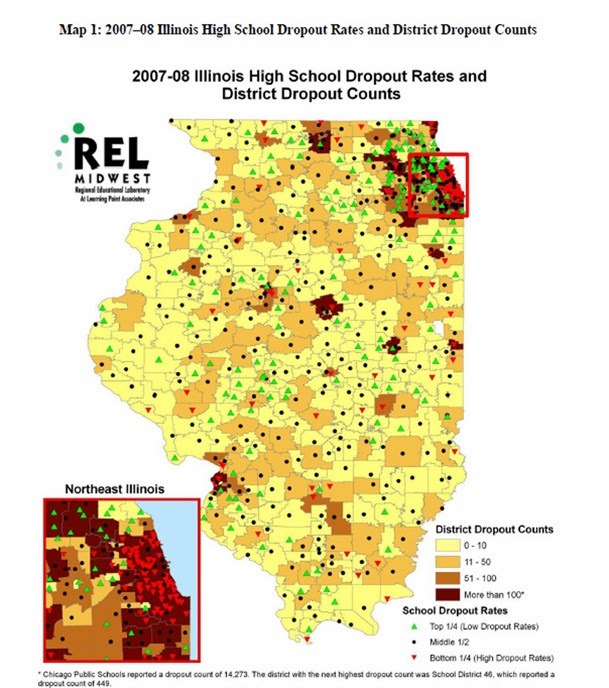 View the maps on this blog to stimulate your thinking on ways to mobilize and distribute resources to more places where help is needed so more kids go successfully from birth to work without a detour in juvenile justice or out of school. 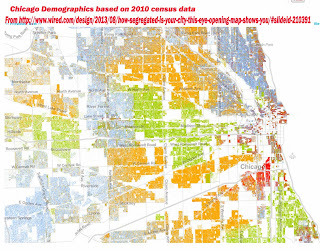 This is a map showing racial demographics in Chicago, based on the 2013 census data. It's one of a collection of maps that can be found in this Wired.com article. This map is called a Racial Dot Map, and "provides an accessible visualization of geographic distribution, population density, and racial diversity of the American people in every neighborhood in the entire country." This link provides an overview of the process and purpose of creating the map. This link points to the actual interactive map, showing racial distribution for the entire country. 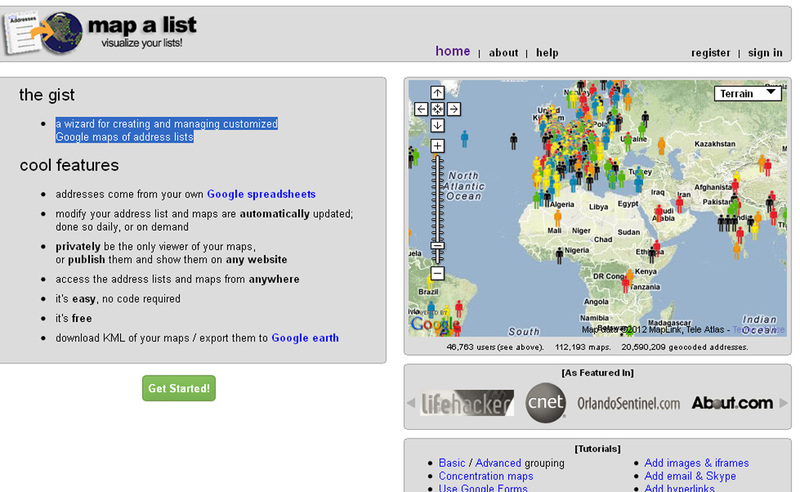 Zoom into specific sections and create your own maps! Use this map, along with maps showing locations of poorly performing schools, incidents of violence, health disparities, etc. and you can form an understanding of what neighborhoods and/or racial groups live in more troubled environments than others. Use maps that show locations of non-school tutoring and/or mentoring programs and you can begin to build an understanding of which neighborhoods have programs and which don't. 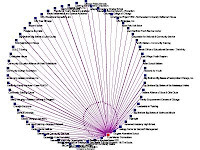 Further review and understanding would be needed to determine which of the existing programs are of higher quality or serve more youth than other programs, but using this information leaders should be able to form strategies that help existing programs get the resources to operate and constantly improve, while helping new programs form in areas of need. This is the type of work Tutor/Mentor Connection has been trying to do since 1993, but with far too few dollars and talent. 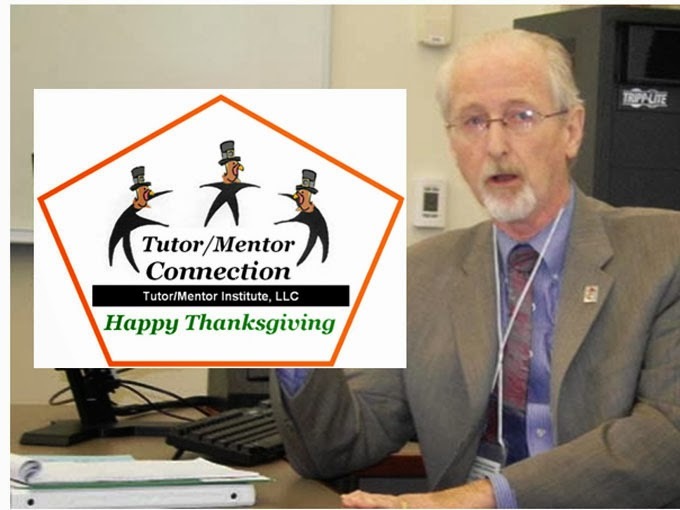 It's work that now is being attempted by the Tutor/Mentor Institute, LLC, but with the same lack of resources. This graphic is a screen shot from the Community Health Needs Assessment (CHNA)Health Indicators Map Gallery. When you open the site the maps show Atlanta. Just type in Chicago, or your own city, and new maps are created for your city. 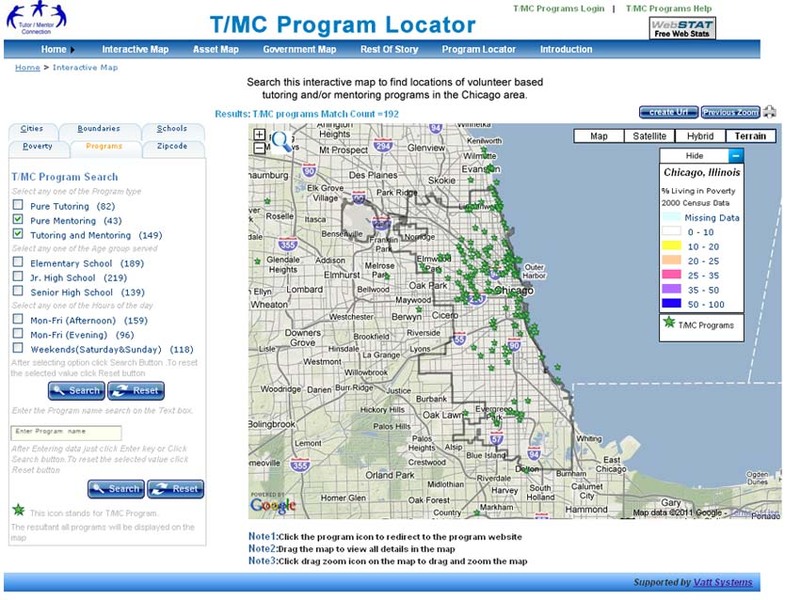 With this type of information anyone can be creating stories showing the public where people need extra help, and could also be using resources like the Chicago Tutor/Mentor Program Locator, to overlay information showing existing service providers in each part of the community. 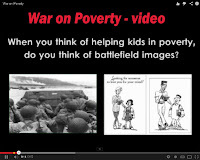 Throughtout this blog and the Tutor/Mentor Institute, LLC blog, stories include maps and graphics. These are intended to provide a better understanding of where and why volunteer-based tutor/mentor programs are needed, while motivating people in business, hospitals, universities, faith groups, media and politics to provide the time, talent, dollars and other resources needed by youth serving organizations in these neighborhoods. In this page I show how interns are integrating our maps and graphics into new media, that reach people in their own networks. 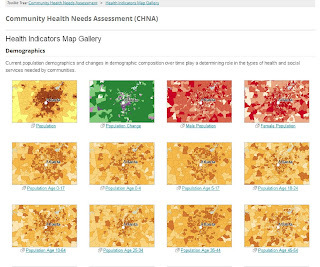 Similar visualizations could be created using the maps from this Community Health Needs Assessment web site. If we teach young people to create these presentations, we teach them to think of all the actions needed to make a social service available in a neighborhood with indicators of high need for services. If they learn to use video, blogs, public presentations and music to attract attention and motivate people to become involved, they learn skills of problem solving and leadership that they can apply for the rest of their lives. Youth don't need to create the original data and map platforms. They need to be able to tell stories using these data resources. 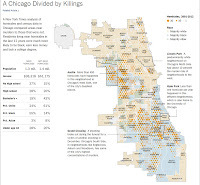 This map is from an animated map story on the WBEZ web site. 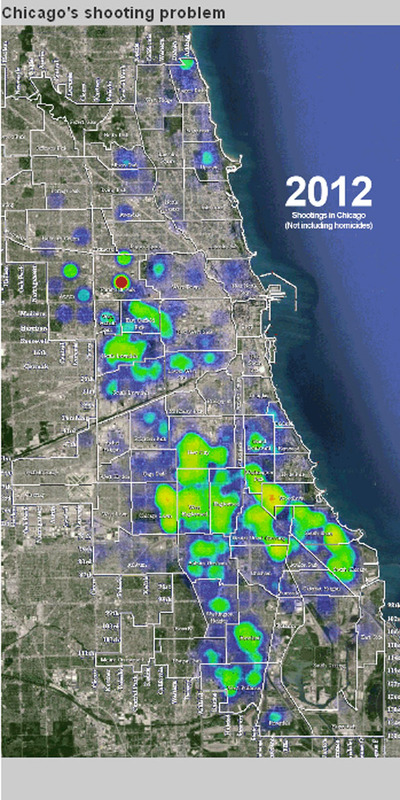 The maps show the distribution of gun violence in Chicago from 2002 through 2011 and changes in intensity in different parts of the city from year to year. I'd like to see stories that focus on gun violence include links to other stories and research that focus on poverty as a root cause. 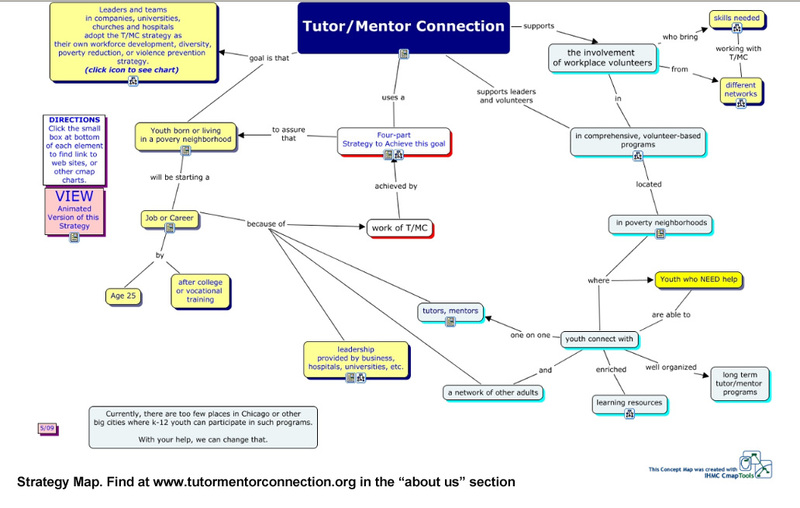 Using the interactive Tutor/Mentor Program Locator I created this image. 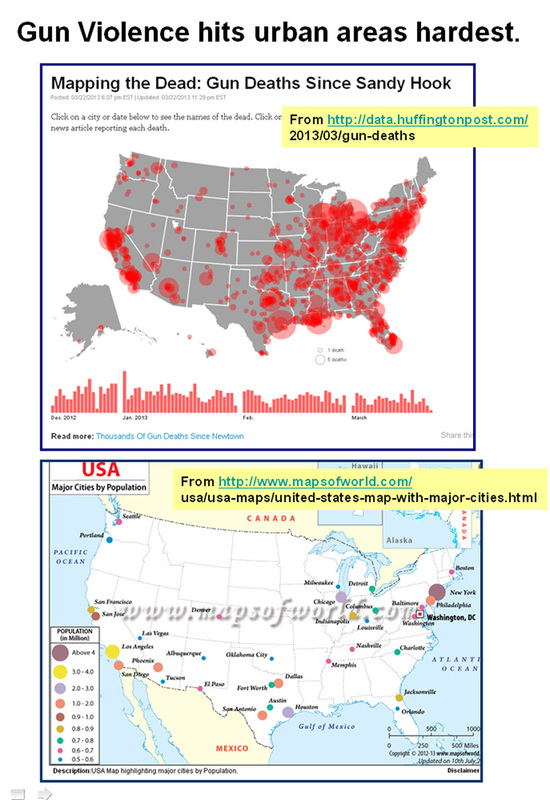 If you compare the areas of high poverty to the areas of high numbers of shootings you see a correlation. My goal is that leaders use these maps as a planning tool to build and sustain high quality, mentor-rich, non-school mentoring, tutoring, arts, technology and learning programs in high poverty neighborhoods. Reach young people young and provide supports and alternatives to gangs and dropping out of school and perhaps there would be fewer people willing to pick up guns and do harm to others as a result. Don't "ride by" poverty. Get involved. 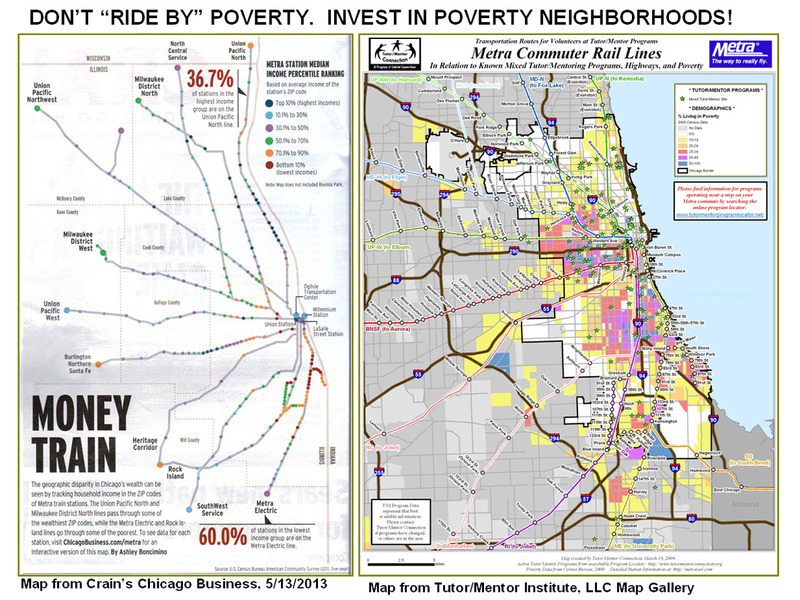 In the May 13, 2013 issue of Crain's Chicago Business a map was shown of Metra transit routes through the Chicago region, connecting people with the downtown business district and the places where they live. 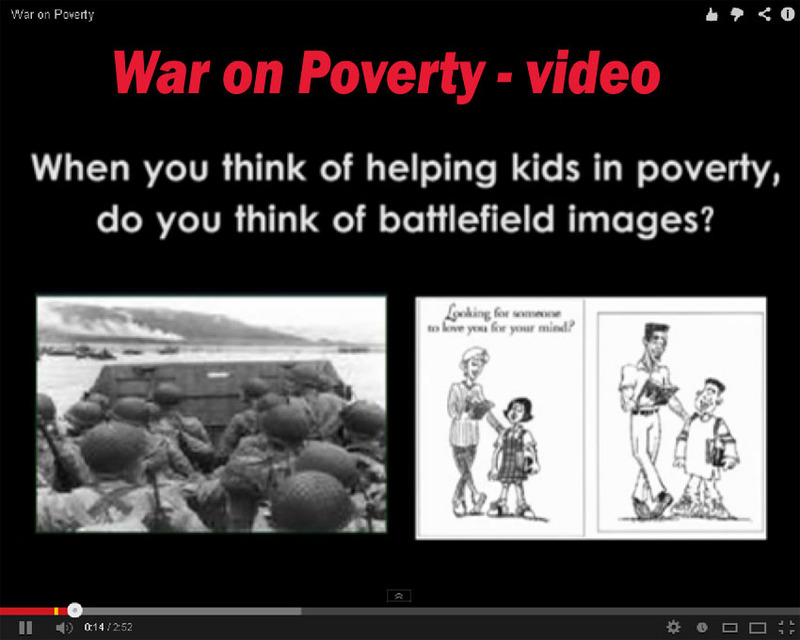 The intent was to show how some routes go through wealthy communities and others through poorer communities (I think). I created a map analysis, using this image, along with one that the Tutor/Mentor Connection had created a few years ago. On the left is the map from the Crain's article and on the right is one showing Metra routes along with major expressways. The first time I used this maps was in 2009, in this article titled "Don't Drive By Poverty, Get Involved." That was four years ago. I've been creating maps since 1993. My goal is that leaders in business, media, politics, religion, universities, etc. would use the maps to mobilize others in an on-going effort to build and sustain mentor-rich, non-school programs IN EVERY HIGH POVERTY NEIGHBORHOOD, where youth would be safe during non-school hours and would find an extended network of adult support and learning opportunities intended to help them go to school every day better prepared to learn and succeed, while also building a network of peers and mentors who would help them through school and into jobs and careers in future years. 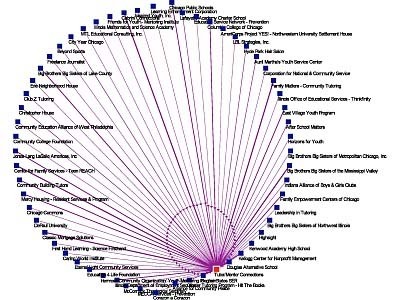 I've been collecting information about Chicago area non-school tutor/mentor programs since 1993 and share it in a map-based directory and in this list of program web sites. I've shared my thinking on a daily basis in blog articles, like this one, and in web pages, comments on media articles, web forums, and conferences I've hosted in Chicago every six months since May 1994. yet I find few reaching out to support the map-making and information collection/sharing that I do, or who are adopting these mobilization tools in their own efforts. This was the headline of the Chicago SunTimes in October 1992. 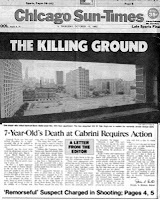 It said "7-Year-Old's Death at Cabrini Requires Action". 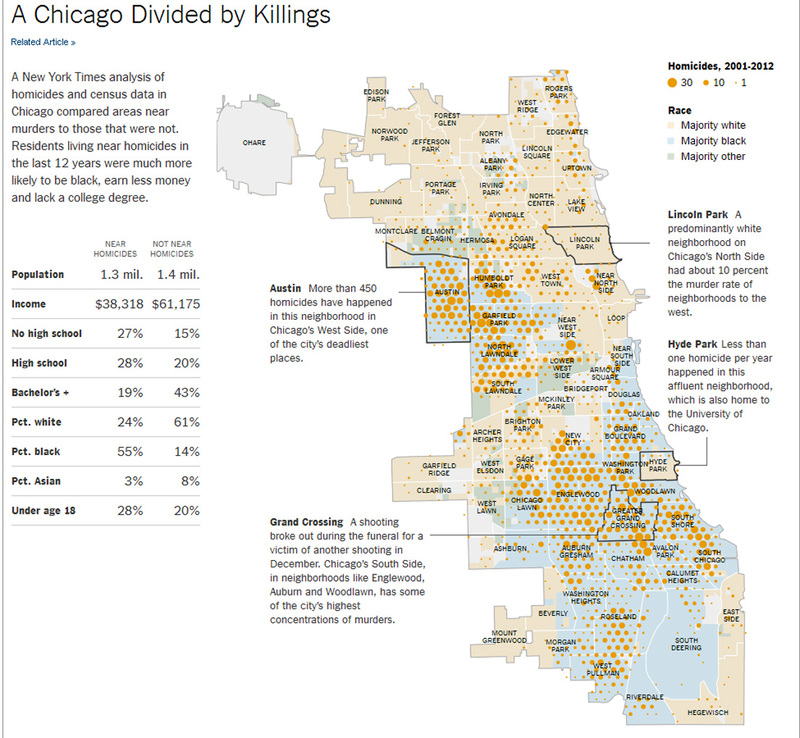 Chicago and other cities are still waiting for leaders to become strategic, using maps and other available data, to build the on-going systems of support that might result in more kids finishing school and going into Chicago area jobs and careers rather than dropping out and/or getting involved with gangs and the state's prison system. Take a look at some of these leadership ideas. Form a Research & Development team in your company, faith group, college, etc. to study this information and offer strategies you can adopt. If I can help you with these please connect with me on Facebook, Twitter or Linked in. Since 2005 interns working with Tutor/Mentor Connection in Chicago have been creating graphics and visualizations to communicate our strategies in new ways, and to new audiences. Below is a presentation created from this pdf, by Byeonghui Kim, an intern from South Korea. Past presentations can be seen here and here. View this page to see how interns learn what the strategies are as they go from first day on the job and through their internship period. Students in high school and college, as well as volunteers in different industries, could be creating similar presentations and using them to mobilize resources to support birth-to-work mentoring strategies in every city in the world. If you'd like to be part of this project, introduce yourself on the Tutor/Mentor Connection forum. DNAInfo Chicago has created an interactive map showing gang territories around schools that Chicago Public Schools plans to close. Maps like this could be use by business, faith groups, political leaders, etc. to build non-school supports for youth and families in these neighborhoods so kids would a) come to school better prepared to learn; b) and be less likely to turn to gangs as a source of social/emotional and economic support. See the DNA Infor map here. I encourage you to read this article on Mother Jones, showing the dramatic growth of poverty in suburbs of Chicago and other cities. Note: when I first published this article in 2013 I also included a link to a Brookings.edu article. That link is broken. 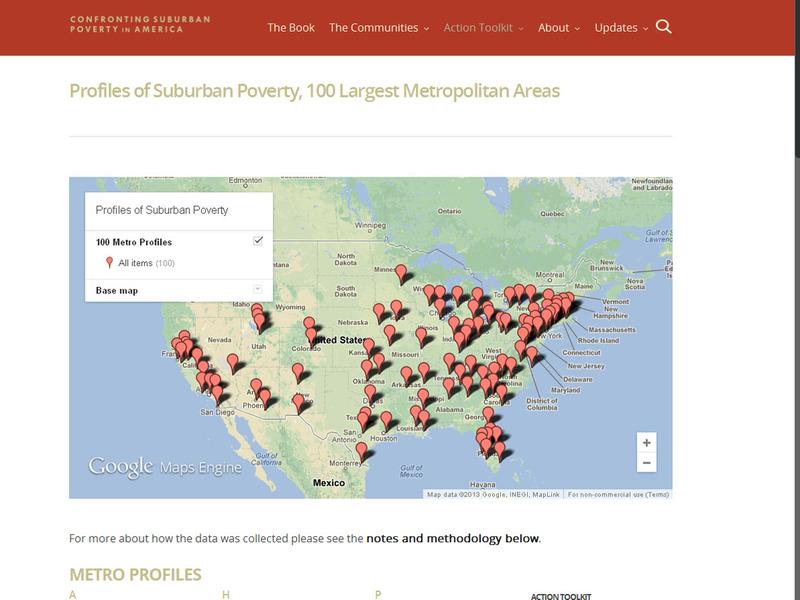 However, here are some other articles about suburban poverty. 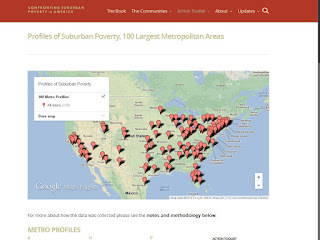 4-19-2019 update: This US News report article is titled The Suburban Myth of Health and Wealth and focuses on the hidden pockets of poverty in wealthy suburbs like In New York’s Nassau County. The strategies I've shown for building a distribution of mentor-rich programs in inner city neighborhoods will need to be expanded to reach youth in high poverty neighborhoods. Will you help? 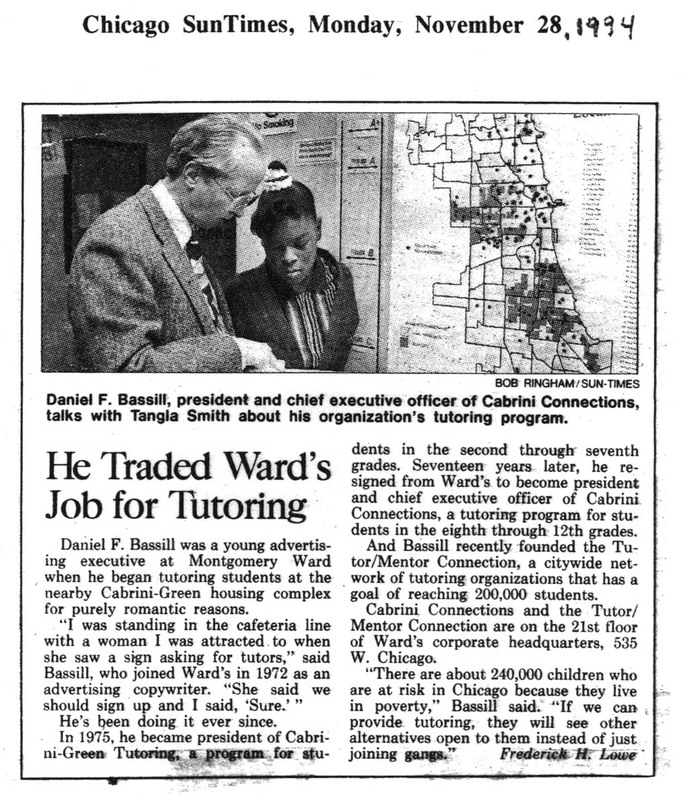 In 1993 I was telling a friend at Chicago's United Way/Crusade of Mercy about my new organization and it's goal of building a master database of non-school tutor/mentor programs in Chicago. She said "How will you show that information?" I said "I don't know.". She showed me a geography magazine and ways that data can be mapped, and I've been trying to harness this potential ever since then. 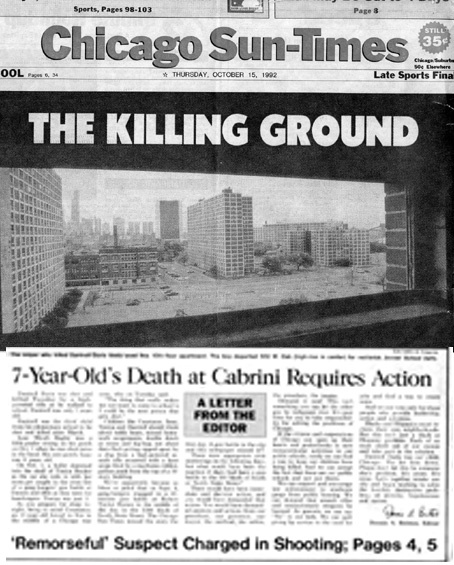 The article at the left is from a 1994 Chicago SunTimes article. The challenge with creating the types of maps you see on this blog are a) you need to collect the data on existing tutor/mentor programs in the Chicago region and keep it up-to-date; b) you need to collect demographic and school performance information from available sources; c) you need to be able to afford a mapping tool; d) and you need to have talent available who can use the mapping tool to create maps. I've never found a foundation and/or business partner who would fund this consistently, even though ESRI donated software and IBM provide money for computers back in 1995. 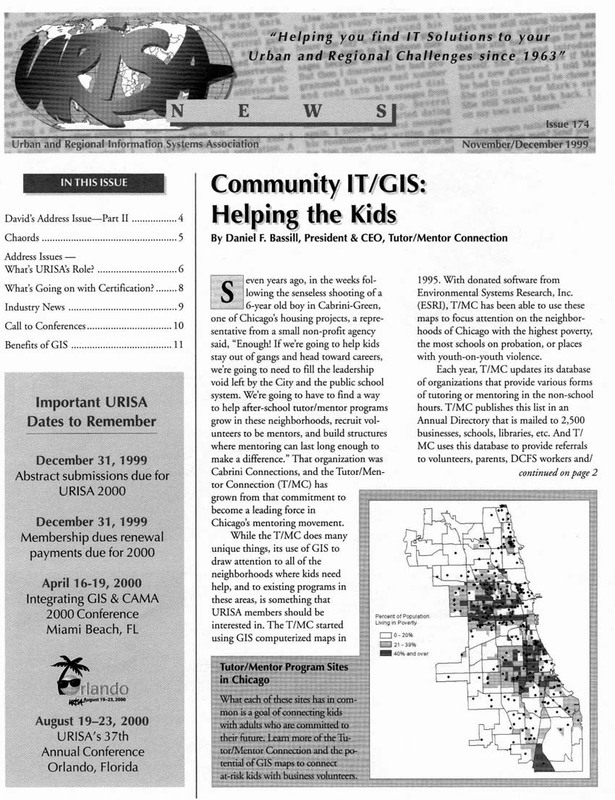 Yet, as this article in the this 1999 URISA trade association magazine shows, I've been able to create enough maps that stories have been told in various media at different times over the past 20 years. To many people I've become known as the "map man" because of how I constantly talk about ways maps could be used by leaders to guide the distribution of financial resources and support the growth of mentor rich k-12 non-school tutor/mentor programs in every high poverty neighborhood of Chicago, or any other major city with pockets of urban poverty. I've been hosting Tutor/Mentor Leadership and Networking Conferences every six months since May 1994, and in these I've also shared maps via posters and workshops. In late 2007 I received a $50,000 donation which enabled me to hire a part time map maker, Mike Traken, who created all of the maps shown and map stories on this blog, up till early 2011 when we ran out of money to keep Mike on staff. With part of the money we also hired a tech team from India who build the Interactive Tutor/Mentor Program Locator which you can use to create your own map view and maps. This PDF provides instructions for using the Program Locator. If you think this use of maps has value, I encourage you to help me find sponsors, investors, business partners and volunteers to help me update the maps, build new maps, create advertising so more people know how to use them, and create new owners who have the same passion that I have for using maps to build a better distribution of needed services in high poverty areas of the country. 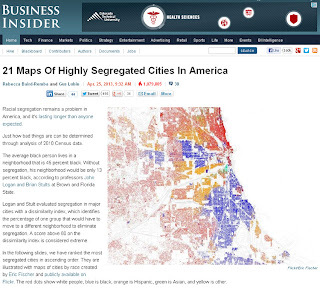 Business Insider has posted maps showing the 21 most segregated cities in the US. My hope is that leaders will use maps like these and those on this blog and the Chicago Tutor/Mentor Program Locator to develop strategies that draw volunteers from beyond these neighborhoods into ongoing tutor/mentor programs that help build bridges connecting youth and families to ideas, opportunities and resources beyond these highly segregated areas. You can also see these maps on Flickr at this link. Chicago youth program funding - Create Competition to DO GOOD! A slick new web site has been created to mobilize resources from the business community to fight the rising violence in many inner city neighborhoods. The Mayor is raising a pool of $50 million dollars to fund new initiatives that expand the number of youth reached. I wrote about this a couple of weeks ago on the Tutor/Mentor Institute blog. 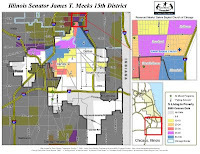 On the Get IN Chicago web site is a map showing neighborhoods eligible for funding from the first round of this initiative. I created a map from the Tutor/Mentor Program Locator, showing levels of poverty, locations of poorly performing public schools (from 2008) and locations of non-school tutor/mentor programs that I've been able to identify. While the neighborhoods targeted for funding certainly have a need for youth serving programs, there are other neighborhoods that also need these programs, including areas of the suburbs that don't come under the Mayor's umbrella, but certainly are affected by high poverty, gangs, drugs, etc. If you look at the Tutor/Mentor Program Locator map, you'll see that there are not a lot of existing tutor/mentor programs in the areas where funding is targeted. If you look at the web sites of existing programs, you'll also find that too few show comprehensive strategies, theory of change, or multi-year history of success. That means new and inexperienced programs will compete for this money, and that it will take time for these programs to grow to be great in how they influence youth habits, or how they build a cadre of loyal volunteers. That won't happen in a few months. Hopefully in two to three years when these programs are maturing, the money will still be there. However, what happens to other programs in areas outside of this funding? Are companies going to just switch funding from programs they have been supporting to new initiatives the Mayor is supporting? Can we really expect them to put $50 million in new funding into this sector? A newly released 2013 Non Profit Finance Fund survey shows that non profits are already struggling financially. Without a flow of operating dollars to sustain current efforts, new money for expanded efforts sits on an empty shell. The city and suburbs need a long-term strategy that mobilizes operating and innovation resources for many programs and supports volunteer, youth and donor connections for many years. It's needed this for more than 20 years, not just in the past two to three years. This strategy needs to use maps to support the distribution of resources and growth of programs. It needs to be based on libraries of information showing what programs are doing in different parts of the country, not just Chicago. And it needs to be supported by on-going public involvement advertising, education, evangelism, involving leaders from many sectors. I created this strategy map many years ago to show my own commitment to helping youth from the Cabrini Green neighborhood move through school and into jobs and careers. It shows a need for many leaders and many volunteers with different skills. It could be on the web site of any youth program, or on the web site of the Mayor and any business leader. To me, that's the role of elected leaders. Use your influence to motivate leaders from every sector to adopt long-term strategies that help all kids in Chicagoland move through school and into 21st century jobs and careers. Use your web site to give recognition to leaders who adopt this strategy and showcase those who seem to do a little better than others every year. Create a Chicagoland competition to DO GOOD and compete with other major cities to show that Chicago leaders can do more good than they can. In today's Chicago SunTimes a story showed the walking route between King Elementary School, 740 S. Campbell, to Jensen Elementary Scholastic Academy, 3030 W. Harrison. 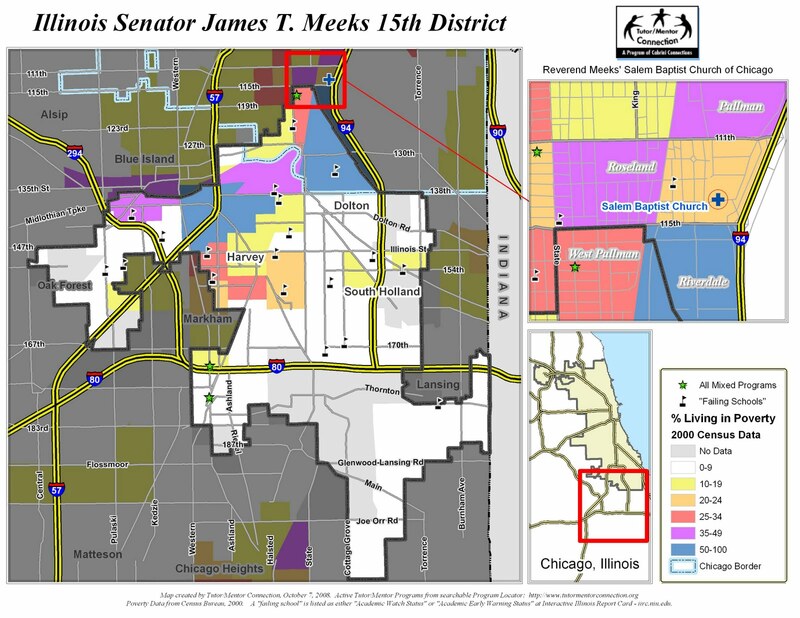 In the printed edition of the SunTimes a map was included showing King at one side of a rectangle and Jensen at the other, with potential routes kids might take from King to Jensen, and potential hazards to kids shown along the routes. 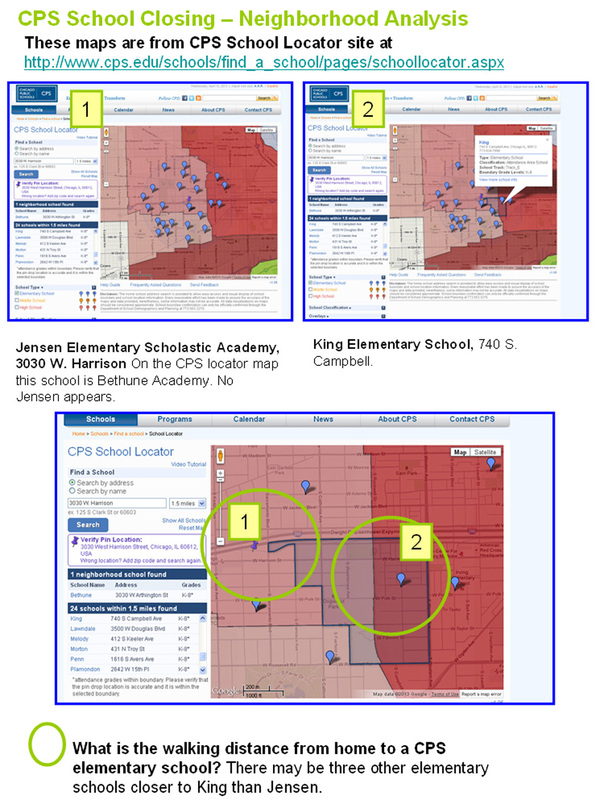 a) The students who live in the area West of King would could be within 4 blocks of Jensen, depending where they live. However, students living South, North or East of King would have to travel even further than the 8 blocks shown in the Sun Times article. b) With other elementary schools potentially closer to where some of King's students live, is CPS really planning to divide kids from closing schools among several different schools, not just the "receiving school"? c) CPS has mapping capacity. Do they map the home addresses of students to determine the attendance pattern for every school, or to understand transit routes, bus routes, etc. Using map analysis tools like this it might be possible for CPS, parents, community activist, political leaders and others to make better decisions about what schools kids should attend, as well as what non-school resources are in the area around every poorly performing school in the city. As a vocational education program, CPS and City Colleges of Chicago could be teaching youth in area high schools to create maps and do map analysis stories like this. 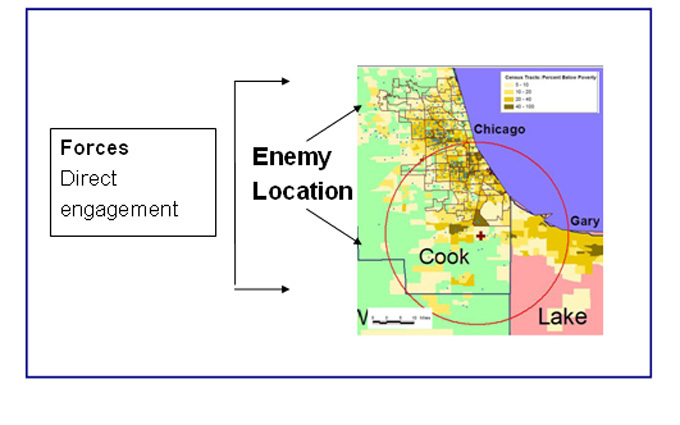 Businesses in Chicago who provide mapping services could provide technology and mentoring. Why not? 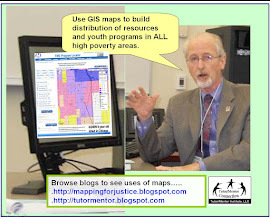 See more of the map stories on this blog and the Tutor/Mentor Institute, LLC blog. This Chicago Magazine article has animated poverty maps showing the change in poverty distribution in the Chicago region since 1950. Those who work for social justice, equal education opportunity, etc. should be using maps like this to plan ways to distribute volunteers and dollars into places where poor people are moving, while keeping resources flowing in places where large concentrations still live. 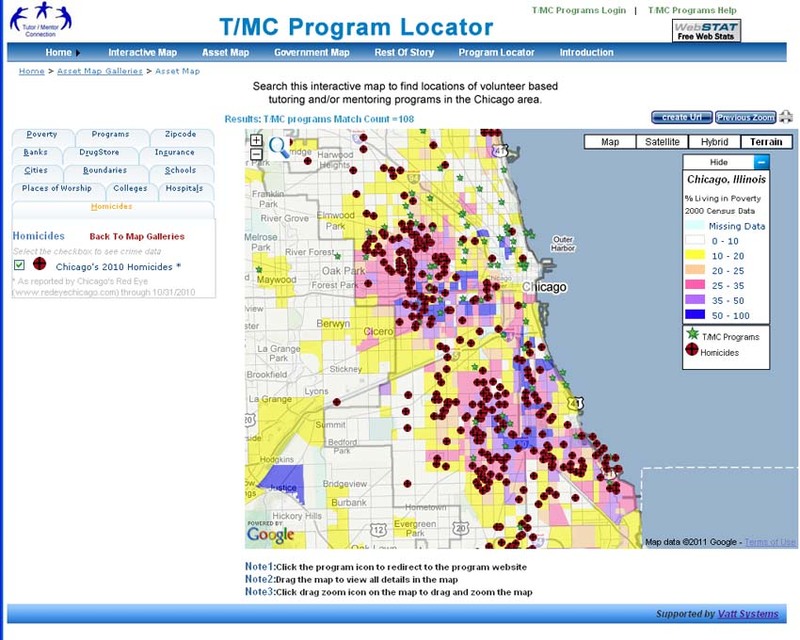 See how Tutor/Mentor Institute, LLC use maps to mobilize resources that support volunteer-based tutor/mentor programs in the Chicago region. 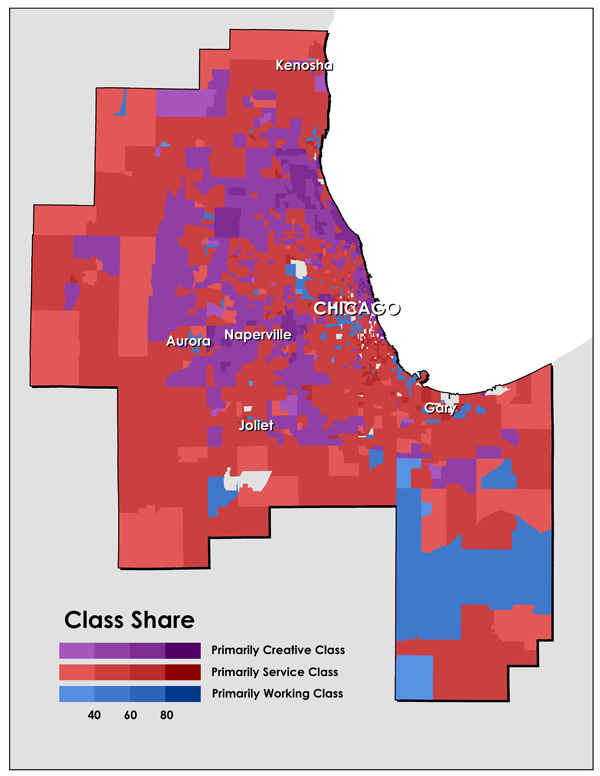 This image is from an article in The Atlantic Monthly Place Matters story titled Class-Divided Cities: Chicago Edition Maps are used to show the different economic and intellectual divisions in Chicago. 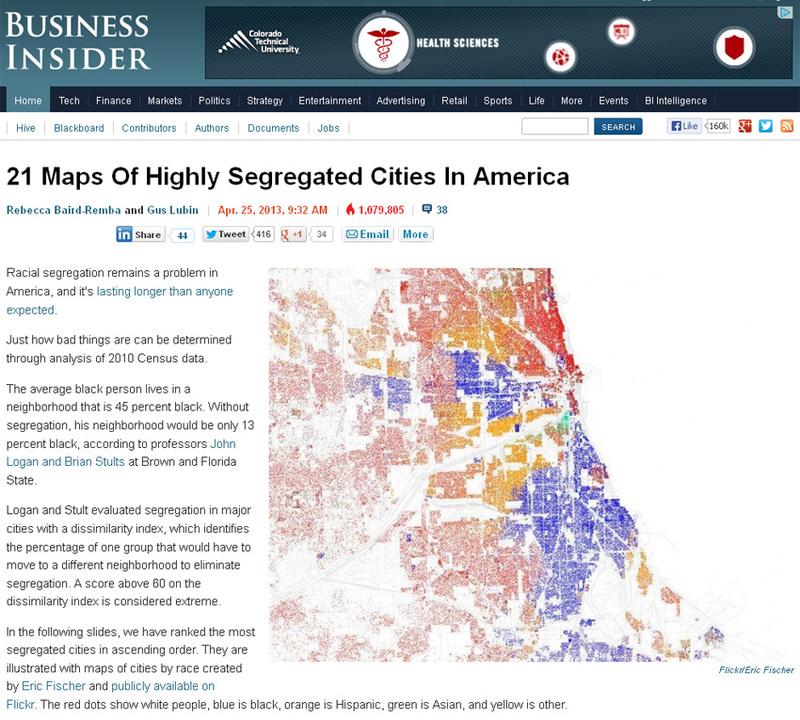 There is an interactive map in this article that enables you to zoom in. This map is similar to the interactive map on the Tutor/Mentor Program Locator that enables you to build your own map, adding layers of information showing where tutor/mentor programs are most needed, and also showing what tutor/mentor programs are operating in different parts of the city. The Tutor/Mentor Interactive map was built in 2008-09 by a team in India using part of a $50,000 donation given in November 2007 to upgrade the mapping capacity at the Tutor/Mentor Connection. We ran out of money to keep building this or updating it in spring 2009 and in 2011 the non profit hosting this project dropped it completely due to lack of funding. 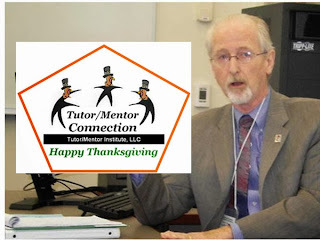 I created the Tutor/Mentor Institute, LLC to find ways to keep it going. My team in India has disbanded and I don't have the money to bring them back, or find local talent to update the Program Locator. I'd like to find a way to connect with talent that created the map for this Atlantic Monthly article, or who could do such work. 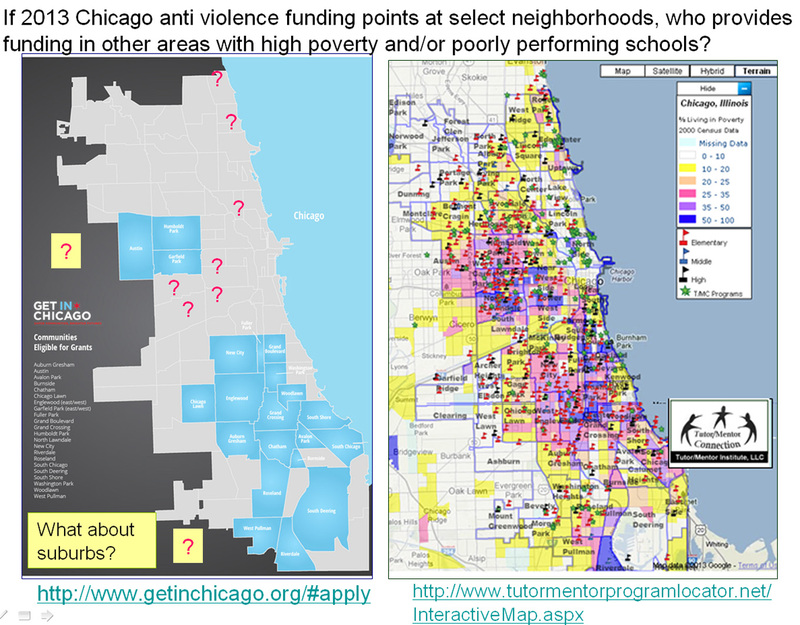 If we can update the Program Locator and add funds for marketing and teaching people to use it in Chicago, we should be able to find ways to share this with other cities without them having to build their entire system from a zero base. If you're interested in helping please introduce yourself on Facebook, Twitter, Linked in or on this Ning site.